A devotee friend asked if I might write about my journey of growing through loss and grief after losing my beloved husband, Timothy, to cancer in August 2012. I replied that I didn’t know if I had grown in a way that would be helpful to others. But she asked again, and so here I am, cracking open the hard shell that has been protecting these tender memories. Over the years I have had many experiences of knowing that God had spared life and limb of our family members. My late husband, Timothy, owned a commercial woodshop, and years ago he was twice saved from accidents that could have been very serious, even life-threatening. And twice God’s grace saved one of our children from a difficult karma that I knew in my heart could have taken his life. I reflected on those gifts and understood that God’s love is always there, in the blessings, yes, but also when times are bleak. When loss comes we must not forget that there have been times when the saving grace was also there. For over a quarter century it has been my role as director of the Ananda Healing Prayer Ministry to listen to the heartaches of many seeking our help, and to pray for these people. When people ask for prayers, they are primarily asking for the test, the illness or poverty, the bad thing, to go away. When prayer is answered in a favorable way, people feel that God loves them, and that God is real. But what happens when the healing miracle is withheld? My joyful, handsome, and spiritual husband had been vibrant and healthy, and at age 60 was still playing basketball and splitting all of our firewood with an axe. Then at age 61, after 8 months of sudden, intense illness, he left this world. The good-karma rug had been pulled out from under Tim. A doctor friend on the Ananda Healing Prayer Circle later referred to Tim’s time of illness as an “unmitigated disaster.” It started innocently enough, with Tim spraining his ankle while playing basketball. Two weeks later, he had a serious reaction to Cipro, an antibiotic. Next he got a crippling blood clot in each leg, due to a rare genetic clotting condition that he didn’t know he had. Meanwhile, for four months his urologist misdiagnosed his painful condition as only an infection. Finally, late on Easter night in the emergency room, Tim was diagnosed with stage IV prostate cancer. All during his illness, Tim never lost his love, peace, or inner joy. Tim’s words stayed with me in the time after his death, when others said it would be natural to feel angry at God. I could not go down that bitter road, for Tim had already shown me the higher path. I had a sacred dream of the Guru’s love a year before Tim got sick. When I awoke, I felt profoundly blessed, and yet I wondered why I had been granted such spiritual comfort and reassuring grace. A few days later I had another dream, this time of Swami Kriyananda blessing me in a special way. Now, looking back, I feel that these dreams were given in anticipation of what would soon come to pass in my life. The Guru knew that losing Tim could make me feel overlooked by God, and bereft of His grace and love. He was letting me know in advance that such was not the case; His love was there, always, even in the worst of times. A wise teacher said to me, “God always sends a warning; it is spiritual law!” There were other powerful warnings that something big was coming, but I only fully grasped these warnings in retrospect. God had left the veil over my understanding until the months after Tim’s death, when I was digesting the whole experience. These warnings, as well as the many sacred experiences Tim had during his months of illness, are too deep for me to address in this article. Love, blissful passing, and after-death connections are a many-faceted prism, about which I may write more in the future. For now, suffice it to say that God is ever near, even in the most difficult times. My heart aches that Tim is not here, and yet, paradoxically, there have been times he has been closer and more present than he ever could have been in our earthly life together. I have felt his soul lovingly know my heart from the inside, more deeply than could have happened if he was still in the body. And yet, still my heart longs for him. I have had the comfort of seeing him in dreams. Sometimes, by God’s grace, these dreams are more than a dream; they are a meeting of our souls, across the barrier of separate dimensions. Such true dreams are precious, a timeless gift to be treasured always. If it were God’s will, I would wish to have such a dream every night. All I have control over is whether I will send my love to him, always. Sometimes in that very sending of love to Tim’s soul, I feel a sacred response. But there is a window open from my heart to yours. My eyes water and my heart chokes up just to write those words. And yet they offer peaceful understanding that birth, life, and death happen in God’s timing, not our own. We are all playing a part in a vast cosmic drama. During our time in the astral world, both before taking on a new incarnation and during the life review after death, we understand the soul lessons at hand. But here on earth we forget all that, and we grieve the heavy losses, especially when our loved ones leave us too soon. I was indeed happy for Tim’s soul, and that he had attained peace and bliss, but even so, I could not help wondering why divine healing had not come to relieve Tim from his illness. Sometimes we are given defining moments that shape how we view this life. Years ago I was miraculously saved from an impending head-on car crash. I share this profound experience in the story, A Miracle Given, below. The memory of God’s saving grace offers me some peace and perspective in this time of loss, for I know that God can save us, even in extraordinary ways, when that is the Divine will for us. And conversely, for reasons we may not understand, sometimes that miracle is withheld; but even then, hard as it is to accept, God is with us. God can suspend His laws and create miracles, but will He always? Should He always? Has He forgotten us when no miracle saves us? Or are those the times He loves us in a different way, letting us drink the full measure of the test at hand, with all the lessons it brings, and thus strengthening our souls? In Autobiography of a Yogi Paramhansa Yogananda wrote a chapter on Therese Neumann, a German stigmatic mystic of the last century. He said that, as a reincarnation of Mary Magdalene, she had been granted the divine gift of witnessing scenes of Christ’s life. These stories are recorded in a remarkable out-of-print book, The Visions of Therese Neumann. In one scene, Jesus was near the Sea of Galilee and surrounded by a crowd of people needing healing. Therese watched as he laid his hands on them all. Only a third of them were relieved of their illness, yet everyone looked blessed. They all had the good karma to be touched by Jesus, he who had calmed the sea and raised the dead. Although only a third were physically healed, their radiant bliss shows us that they all received healing in their souls. Paramhansa Yogananda wrote that Jesus, and other avatars, have the ability to heal anything, but only use that power if it is right for the soul at that time, in accordance with Divine Will. Illness not only burns up past karma, but sometimes also may serve as a spiritual opportunity for the person to stay in loving joy even under extreme duress. That is how I saw Tim’s illness. He was such a good soul, so peaceful and honorable, that it took such a supreme test even to be a test at all. I was his witness in his most trying days: he never faltered in his goodness and love. And as I write this closing, I feel a loving, silent whisper from Christ in my heart, as though in that timeless moment of welcoming Tim’s soul into His presence: Well done, my good and faithful servant. . . . When my children were young, I used to lead evening healing prayers every week in a chapel near my home. The bliss of God’s grace was so strong after the prayer service that many of us stayed on to meditate until midnight. Later on, we switched to Thursdays at noon, a time more convenient for the group, but not for me. I was left with only a small window of time to do my desk job before I went home to make dinner for my family. I sometimes made expedient choices that were, perhaps, less than wise, because now the after-prayer bliss was in the middle of the work day. I learned to make careful transitions after, on two occasions, I felt searing heat go down my spine when I tried to get back to my prayer ministry office work too quickly. One day I meditated only a short time after the prayers. I needed to run some errands in town. I had also offered to do a favor for a friend who worked in publishing. She was typically stressed and up against a deadline. Sure enough, she needed something dropped off at FedEx. She insisted that her package could not be left at a drop box. It had to go to the FedEx station before 4:45 pm or it would miss the truck. I accepted her terms and entered the orbit of her rules. The drive to town takes 25 minutes. I took along two international friends who also needed to do errands. When I dropped them off, I saw a FedEx drop box; in my blissful post-prayer flow, I wanted to drop the item in. It looked so easy and God-given! But since I had given my word, I proceeded on to the FedEx station. It was now almost 4:30 pm and there was a lot of traffic on the road. As I approached FedEx, I got into the left turning lane . . . and then, too late, I realized it was not a left-turn lane at all! I was in the opposite lane! Two cars swerved around me onto the shoulder, and now another car was coming towards me! There was no way to make a screeching turn back into my correct lane. Cars were moving quickly on both sides of me, and a head-on crash at 45 mph looked inevitable. I know it sounds strange, but I felt very calm as this drama unfolded. There was no way out, and panic or fear was not going to change that fact. And then suddenly, amazingly, inexplicably I was back in my own lane of traffic as though I had never made that near-fatal mistake of turning into the oncoming lane. Miraculously, the Divine Editor had cut and spliced the film of my life and put me back where I had been in the line of moving cars. I was not supposed to die that day. I pulled over as soon as I could to absorb what had just happened; the profound realization engulfed me in a deep calm: Life really is a dream. There was no other explanation. We are God’s children living in His Dream. The laws of time and physics had been suspended by a much greater Law. After that I was much more careful about not getting behind a wheel too soon after finishing healing prayers. And yes, I did make it to FedEx on time. It was early in the morning when I wrote this story. As soon as the rough draft was finished, I relaxed a moment, then I heard a young female voice upstairs talking sweetly to our cat. Even though I knew no one else was in the house, I called out, “Hello?” Then it dawned on me that she had said, “Minnie,” the name of our cat who had died over 12 years ago. Our “new” cat is named Java. No one would be speaking to Minnie now. In writing the story “A Miracle Given,” I was so focused on how time and space were altered that I had tapped into the same phenomenon, but in a much gentler way. This time no lives were put at risk, and I was granted the sweet experience of hearing my teen daughter talk to our cat in a most natural way. Krishnabai is now in her thirties and lives down the street, with a family of her own. But for that moment, I relived the simple joy of having her in my own household. And I realized then that writing these stories was going to bring them to life with an intensity and spiritual depth that I had not anticipated. The scenes of our lives are all part of a tapestry in the Eternal Now. Albert Einstein said, “The only reason for time is so that everything doesn’t happen at once.” We experience our lives in a linear fashion, yet the Eternal Now is always present, furtively and fleetingly revealing itself from time to time. The Masters live in full awareness of the Eternal Now, and can see the intricate karma of the souls in their care. Thus, sometimes a miracle is granted and at other times it is withheld. It is all for the good of the soul. Mary Kretzmann, a Lightbearer and Ananda Village resident, serves in the Sangha Office as Director of the Ananda Healing Prayer Ministry. 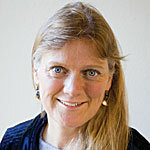 She is the author of Divine Will Healing, a complete handbook of Paramhansa Yogananda’s teachings on healing. She has also written a free online e-book, Finding God in Your Family. Thank you! So beautiful and inspiring. God’s blessing to you. Thank you! You will help many people with this beautiful, poignant, inspirational, deeply personal essay. My heart breaks for you in the earthly loss of your beloved Timothy. It’s a tough and courageous road being human, and you are walking such a sacred and authentic path. Thank you again, and God bless you always. Thanks for sharing these heart felt, lovely stories Mary. I know some day the lessons offered will be a blessing in my life. Thank you Mary…….love your honesty….. I like to think we all do the best we can at any given moment in time. It is definitely articles like yours that help put things in perspective when loss, pain and grief pay us a visit. In something I read recently, a master was quoted saying to his devotees after they questioned his grieving (referring to his teaching on the illusion of life/death) for his lost child and he replied, “the loss of a child is the greatest illusion of all”. This reminded me of when Yogananda allowed grief in when experiencing the loss of his mother and his guru. From my limited experience with grief this time around, I’m seeing sometime during the grieving process, a window opens between the infinite and the relative, between the grieving and gratitude and both are OK. The gift is eternally given, recognition takes many by-ways. Thank you, Mary, for sharing these deeply spiritual insights and experiences. The depth of your understanding of God’s will for us and your willingness to share, even though so personal and painful, is greatly appreciated. Blessings and peace to you. Thank you Mary for sharing your and your husband’ experience. You have brought such a depth of beautiful spiritual understanding to what for many of us is our greatest fear and struggle. Blessings, Mary. Your telling of these healing times in your life and in Tim’s are an inspiration. The flow of God’s love and healing is ever present and your awareness of it is healing for so many of us. Thank you for sharing. I felt your pain, your loss, as well as your love and inspiration. I am filled with deep gratitude for the precious and eloquent sharing of your profoundly inspiring experiences. God bless you always! Both these stories from your own life help us to understand that although God’s grace expresses itself differently in different situations, but, nevertheless, it is always there and it always leads to the evolution of the soul in its journey to God. Beautiful and Inspiring–well done, dear Mary! Thanks for sharing. Your courage and fortitude in pressing forward on your personal spiritual journey is an inspiration and heals many! You are gifted with one less veil than most of us in the realm of healing on all levels…….I bow to the Divine Mother through and in you Mary! Bless you my dear freind! Beautifully put! I am so glad you have healed enough to share these deep thoughts with us. Grief and loss seem to be the most profound challenges in life. (I know that test very well, too.) So comforting to truly understand that ‘life is but a dream’ and the veil is thin! Hugs, dear heart. Thanks for keeping your heart open and staying on the path as a witness to all of us fellow kriyabans. Know you are loved and truly blessed! Thank you for sharing your beautiful and touching story. It is heart warming to hear that your husband still communicates with you after departing. God bless the both of you. Thank you for your kind words, which encourage me in what I feel guided to do next. I am getting ready to write a short book with similar experiences, based on journals kept after Tim’s passing. I may also include a chapter or two of stories from others who have experienced loss. Over the years I’ve thought of you and your family. And the sadness I’ve shared with many others that your family so shining with kindness and joyfulness and goodwill should be separated as early as you were. I knew there had to be a reason or reasons. But there was still disquietude about it. Until this day, as Tim and you came to my thoughts again and I looked through your writings to this story you had submitted before but I had not been ready to receive. This day I am cheered and inspired, and I find new solace and rejoice that as time has passed these wonderful stories and insights you offer, and the love you have expressed for your family surely has deepened for you as it continues to shine to us. For the dedication and continuation of this blessed Ananda Healing Prayer Ministry we thank you very much. Thanks for sharing this personal account. Tim must have been a great soul and trained himself to be a perfect disciple in this life time. Its so easy to be bitter when one is in pain, sick. Loved his words and it gives all of us a pointer to trust masters even if it seems everything is against us. A man in New Zealand told me that those words were life-changing for him, and helped him in a personal matter at the time. The words were so inspiring that he keeps Tim’s picture on his computer as his screen saver. Please read this answer that I wrote to a woman after the loss fo her father to see Yogananda’s teachings on how to send love to those who have passed on. The secret gift of the loss of a loved one is that you get catapulted into a world of expansive love. Along with feelings of deep human loss, I have experienced the gift of that boundless love. There I was just another speck of humanity, unnoticed and left alone on the corner of 39th street and 6th Avenue in New York City, having a divine experience that profoundly changed my life. From that moment on, calmness descended upon me, and I knew that every minute of my life had unfolded perfectly.